When doing battle at a gym, messages appear next to both your Pokemon and the enemy Pokemon. Some messages are obvious, like "Dodged" appears above your Pokemon when you successfully dodge. What is not so clear (at least to me) is when a message like "Not Very Effective" appears above my Pokemon, does that mean my Pokemon's attack was not very effective? Or the attack that is hitting my Pokemon is not very effective? Whatever the answer to that is, I assume it applies to the messages above the enemy Pokemon in a complementary fashion? It means the attack hitting your Pokemon is not very effective. As you suggested when it's complementary, when you launch a not very effective attack, it appears above enemy pokemon. 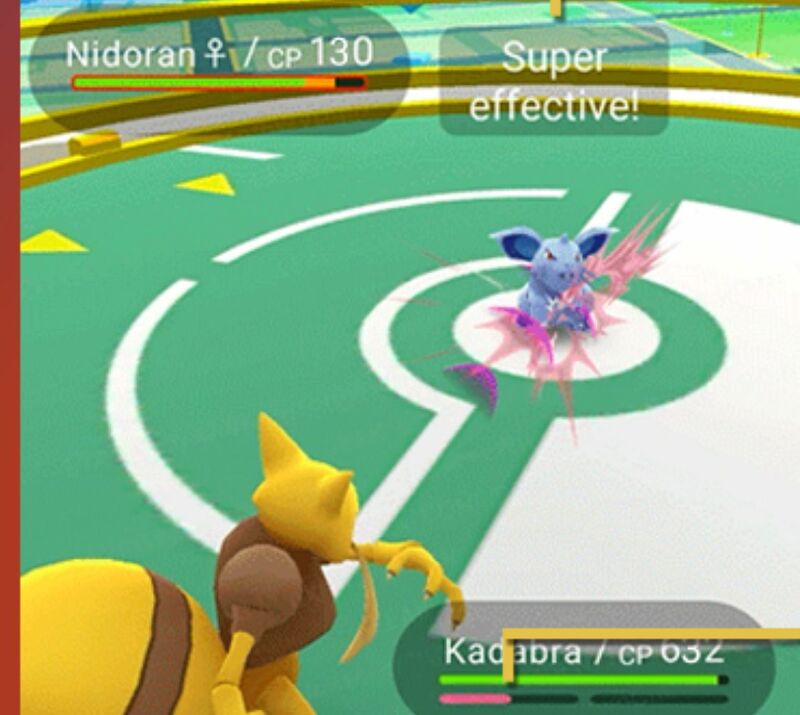 as you can see here kadabra's psychic attack is super effective against nidoran as she's a poison type pokemon. When a message appears above your Pokemon in battle it is referring to the enemy's attack against you. And the reverse is true, when it pops up above the enemy it's referring to your attack against them. The "super effective" and "not very effective" refers to the type of attack and the Pokemon type that is hit. There are many different types of Pokemon and these types often have advantages or disadvantages against each other. For example fire is super effective against grass type, but weak against water. This is a chart that shows all of the relationships between the types. 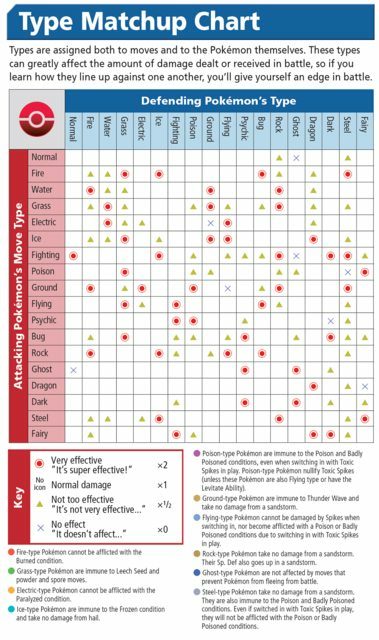 Pokemon Type Chart But in Pokemon Go there is a slight difference and there is no 1/4 effectiveness or immunity, only X1/2 (not very effective) and X2 (super effective). The messages "Not Very Effective", "Its's Super Effective", etc.. is based of the Type of the attack your using. Every type is strong against another type, and every type is weak against other. Other types have full immunity to other types. Are compounding type [dis]advantages implemented? Can I directly battle my friends? How effective are Razz Berries, quantitatively? How is experience gained from gym battles calculated? Is there a case in Pokemon Go where the attacker and defender has a 1.56x effectiveness vs a 0.64x effectiveness the other way? Why do Pokemon Go gyms “sparkle” sometimes (like right now)? What are the benefits of powering up a Ditto? Is this prestige progression observation explainable?